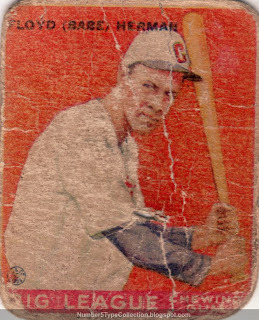 This low-grade beauty comes from Goudey Gum's wonderful 1933 set. 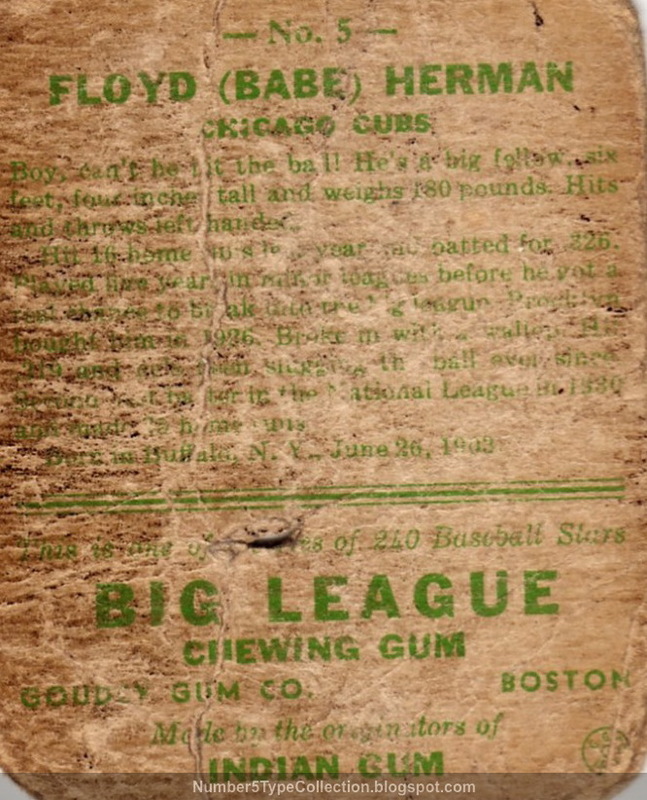 It's arguably the first "modern" baseball issue, featuring multi-color fronts, professionally written player bios, and a large (for the time) 240-count checklist. Goudey honored Babe Ruth with four different cards in this set and several other players got two each. The whole thing's a cavalcade of Hall-of-Famers and legendary stars, from Lou Gehrig to the Waner brothers. No doubt about it, my #5's seen better days. 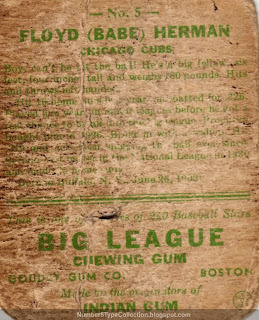 Here's the same card in much better shape, courtesy of The Virtual Card Collection. (It also has the full set.) Babe looks about 10 pounds lighter without all the creasing and corner wear. Nope, I can't read that back text, either. Here's what his bio says. "Boy, can't he hit the ball! He's a big fellow, six feet, four inches tall, and weighs 180 pounds. Hits and throws left-handed. Hit 16 home runs last year and batted for .326. Played five years in the minor leagues before he got a real chance to break into the big league. Brooklyn bought him in 1926. Broke in with a wallop. Hit .319 and has been slugging the ball ever since. 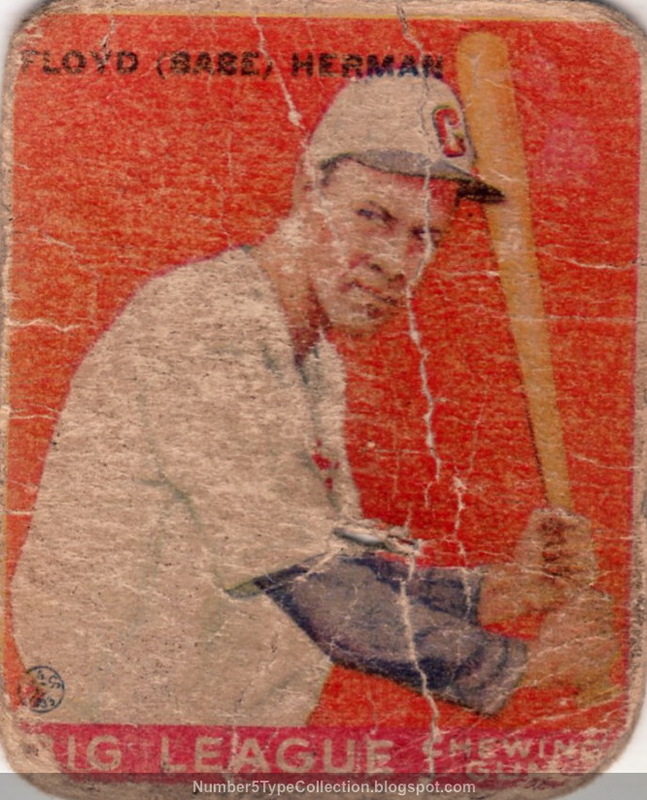 Second best batter in the National League in 1930 and made 35 home runs. Born in Buffalo, N.Y., June 26, 1903."